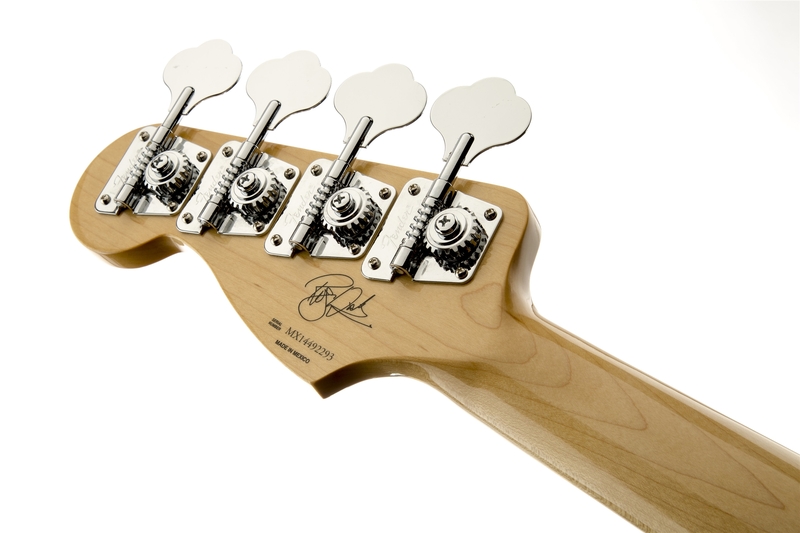 The Roger Waters Precision Bass brings you the elemental sound and style of the acclaimed bassist/singer/songwriter, whose elegant grooves are hallmarks of classic Pink Floyd and an acclaimed solo career that continues stronger than ever today. 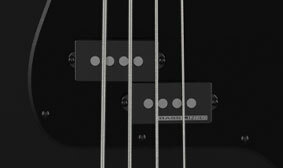 The instrument is as tastefully tailored as Waters' own simple-yet-sophisticated bass work, with a distinctive all-black look and powerful yet nuanced tone. 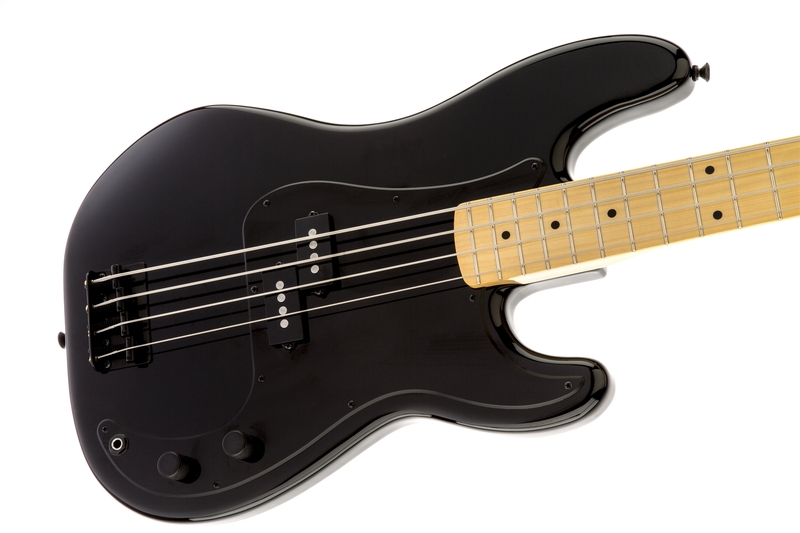 The Roger Waters Precision Bass is equipped with a powerful Seymour Duncan® Quarter Pound™ split single-coil pickup that produces seismic low end, solidly punchy midrange and exceptionally clear and well-defined high end. 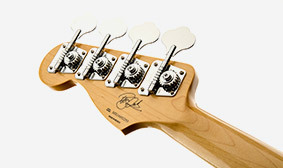 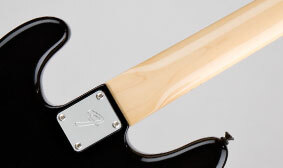 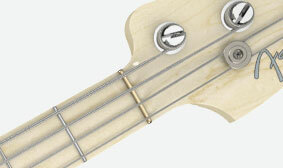 For improved sustain and brightened tone, the fingerboard of the Roger Waters Precision Bass features a brass nut. 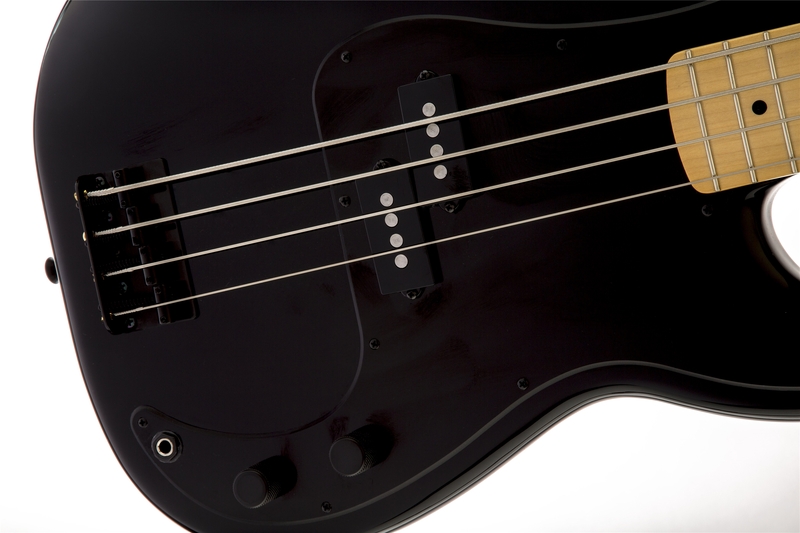 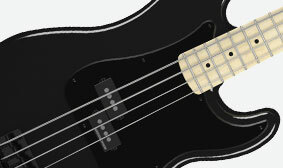 The entire body of the Roger Waters Precision Bass is Black, as are the pickguard, pickups, bridge, control knobs and strap buttons. 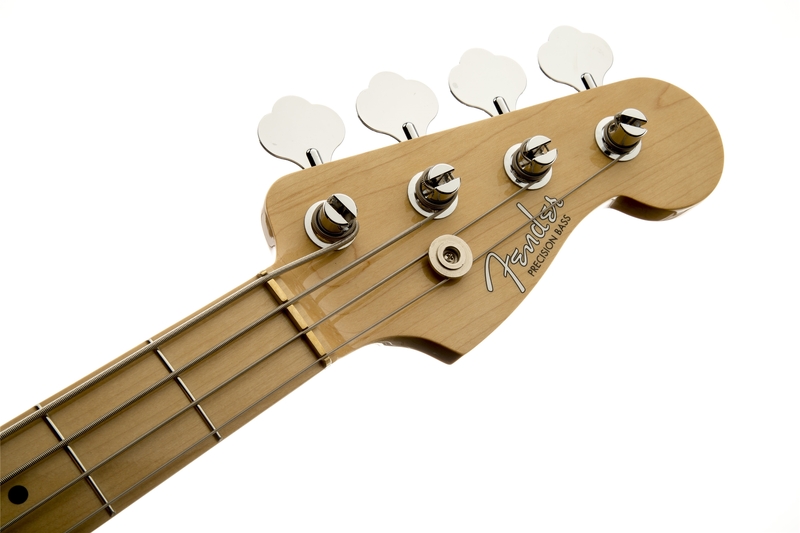 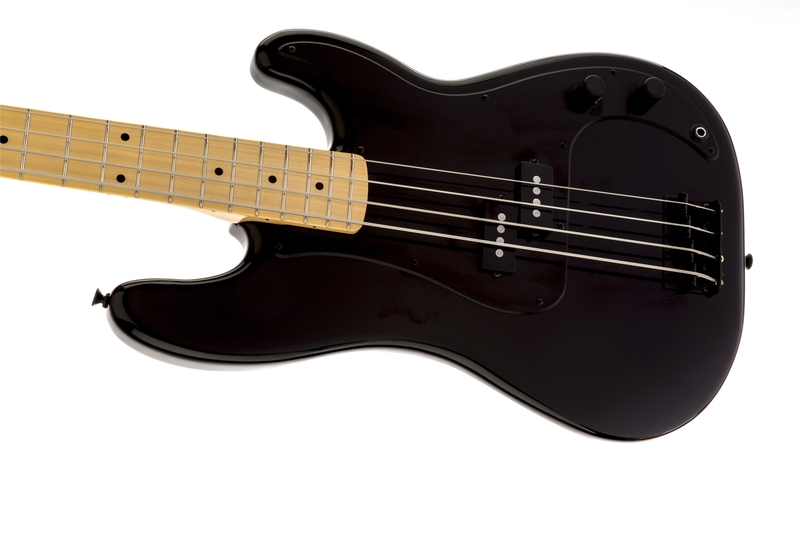 The Roger Waters Precision Bass features the nicely authentic touch of 1970s-style open-gear tuners stamped with the classic Fender script logo. 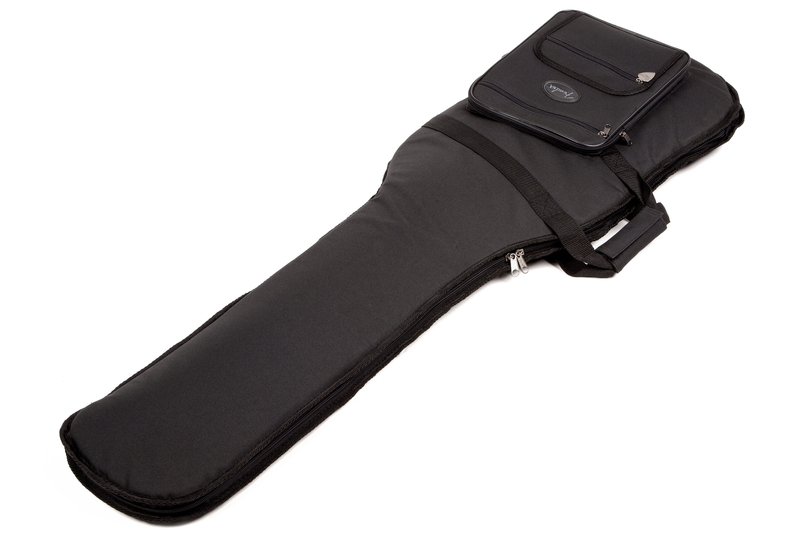 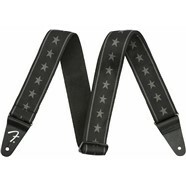 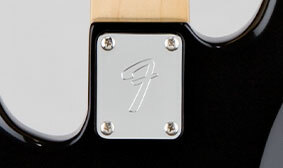 In an authentic nod to 1970s style, the chrome neck plate of the Roger Waters Precision Bass has a black plastic gasket and is stamped with the stylized capital "F" of the traditional Fender script logo.